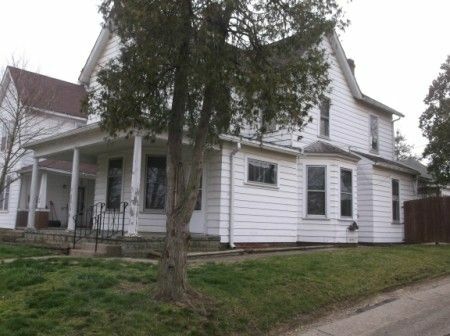 This two story home has large covered front porch and aluminum siding. The living room offers hardwood floors and brick gas fireplace; Dining Room with hardwood floors and closet; NICE Eat-In Kitchen with floating wood type floors; Large Utility Room with partial Bath which has plenty of room to make into a full bath. The Upstairs offers 3 Bedrooms with hardwood floors & closets; Full Bathroom with shower over tub and a hall closet. The Basement has 2 rooms, Gas furnace with central A/C, 200 Amp Breaker Box and Hot Water Heater. Real Estate Terms: $2,500.00 down at time of sale Cash or Check. Balance & possession at closing on or before June 16th 2013, No Buyer Contingencies exist. Sold in its present AS-IS where is condition. All information provided is to be utilized only as a guide. Buyers are responsible to conduct any inspection, inquiry, investigations and due diligence regarding to property. Buyer agrees and understands that the seller makes no warranties or representations of any kind either expressed or implied as to the condition, quality, and merchant ability of fitness for a particular purpose of the real estate or any part thereof and/or serviceability for the same. Buyer is buying property subject to any and all easements, leases, covenants and restrictions. The agreement of auction is solely between buyer & seller. Stanley & Son, Inc. and its agents are exclusive agents of the seller. Any announcements made only by the auctioneer from the podium during the time of auction will take precedence over any previously printed material and/or any other oral statements made or implied. No liability exists regarding the information contained in any printed matter for its accuracy, errors or omissions. Bidding is open, just call out, raise your hand or watch the ring personnel…they will assist you and try to get answers to any questions you may have prior to bidding. Taxes & Legal: The Ross County Auditor’s Department Total Appraised Value is $75,350.00, Net Annual Taxes are $1,181.22 a year; all this is situated on a NICE apx. 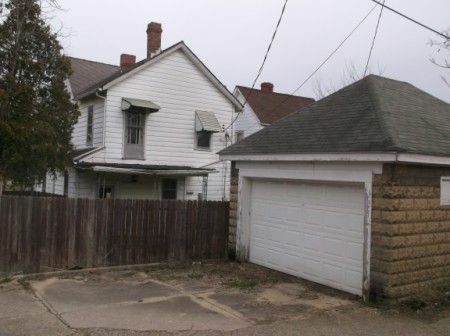 36.5’ by 102’ lot with alley access. Parcel ID #: 305515055000.